ROAD TO TAOYUAN (part 1) - Goannas return home! ROAD TO TAOYUAN - Another successful camp, on and off the court! SAVE THE DATE - Goannas Sportsmen's Night! 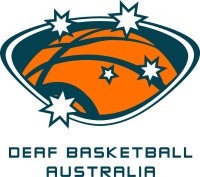 Basketball is earmarked to make its comeback to the Australian Deaf Games after a 12 year absence as a night sport, at the premier South Australian basketball venue, Adelaide Arena! The Australian Goannas, the national deaf men's basketball team, will do battle with the Warrandyte Venom Mens Big V Youth League team on Sunday 8th February, starting 12.30pm. ANNOUNCEMENT - Geckos qualify for 2017 Deaflympics! The draw for the 2015 World Deaf Basketball Championships was held last night in Taoyuan City, Chinese Taipei. 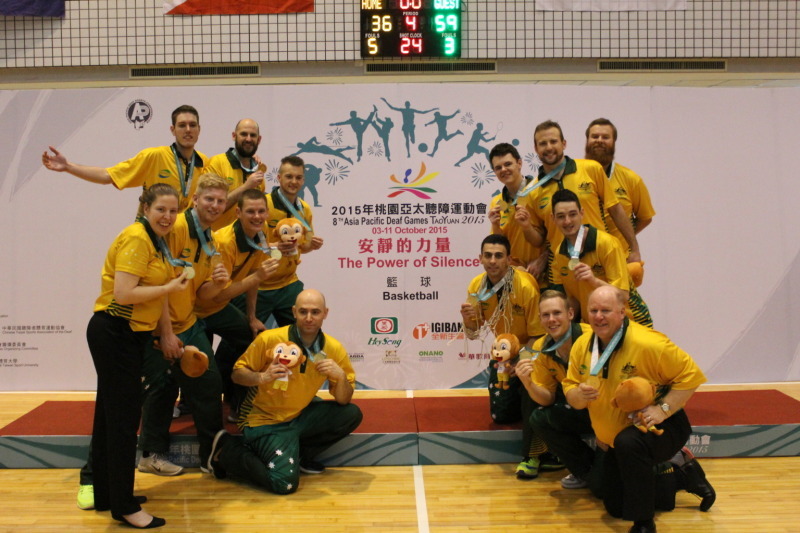 The Goannas are now on the road to Taoyuan, the city hosting the 2015 World Deaf Basketball Championships! Womens head coach, Janelle Bressow shows her coaching credentials! 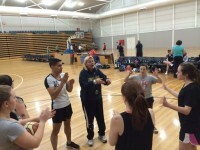 The first try outs in readiness for a big 2015 were held over the weekend of 28-29th June, in Melbourne. 6 exciting positions to be part of the National Teams Program - read on! A Goannas player takes out the Senior Sports Star of the Year award! Mens and womens national teams have registered for the 2015 World Championships in Chinese Taipei. 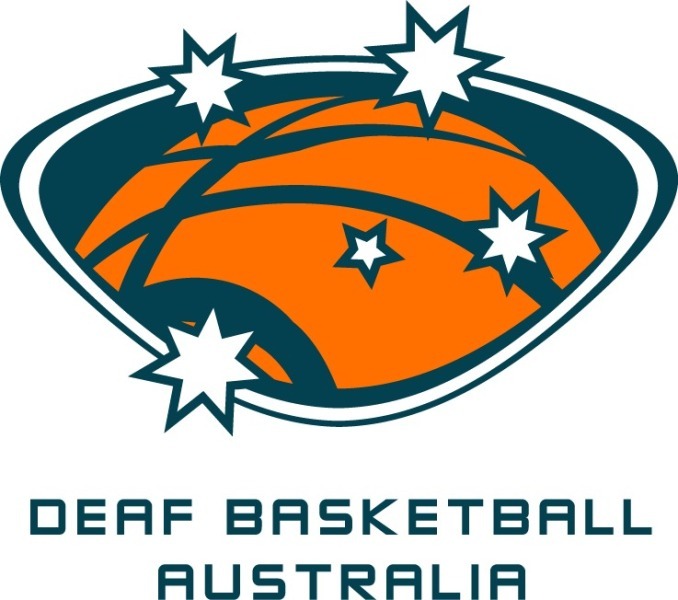 Deaf Basketball Australia held its AGM on 14th December in Brisbane, and it was attended by members QDBA and DBV, with DSA and DSRQ in attendance as observers. The Goannas played their first game versus Russia, an experienced and strong team. Read on to find out who the Goannas play and when - not long to go! The Goannas team for the Sofia Deaflympics will be by a committed and experienced individual who has leadership ability in spades - read on who it is! The team going to the Deaflympics in Sofia, Bulgaria has been announced! During their March training camp, the Goannas visited an elite sporting facility - the Richmond Football Club. Our national mens club champions have become the best deaf mens basketball club in the Asia Pacific Region! One day in the future it may be possible to have a Goanna or Gecko a scholarship recipient! The World Deaf Basketball rankings have been updated and released by International Committee for Sports of the Deaf. 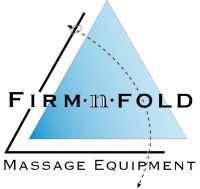 ANNOUCEMENT - Memorandum of Understanding signed! A Memorandum of Understanding has been signed between BA and DBA, paving the way for a better relationship. 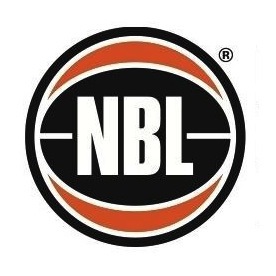 The DBA AGM will be held on Saturday 18th February,2012 at 10am at Basketball Australia, Level 3, 256 Coward Street, Mascot NSW. The Goannas captain has been appointed in the lead up to the 2012 Asia Pacific Games later this year. DIBF becomes part of the FIBA family! Where will the Goannas finish at the 2015 World Deaf Basketball Championships?